Our brand new patio market umbrella base is perfect choice for your busy backyard. 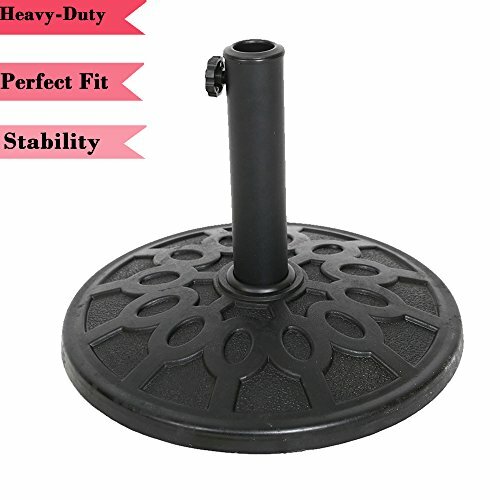 17-inches round base design of this umbrella stand is big enough to hold the patio umbrella. The heavy duty 17.6 pound base also ensures that your umbrella won't tip over and does not get carried away. The thumb screw allow you to secure your umbrella safely into the base provide additional required to improve umbrella stability in windy conditions. Nature color and generous design will adding more beauty to your garden.